Remember my friend who I made the cool photo�gift idea for? 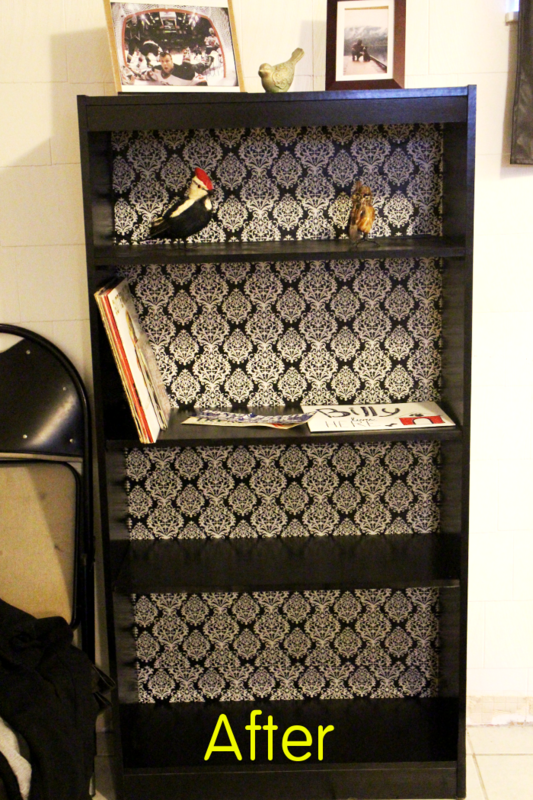 Well, I also did a bookcase makeover for his apartment with a bookcase I didn’t have room for. 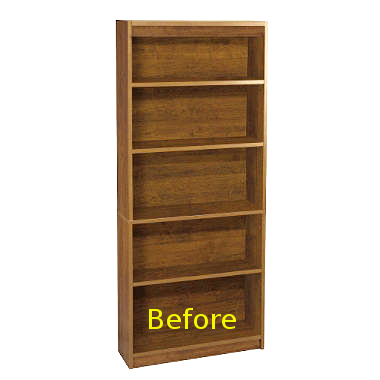 I started with a bookcase the same as this – why do I keep forgetting to take before pictures – except mine was a little more beat up than the one in this picture. Since he’s a guy, he wanted dark colors. 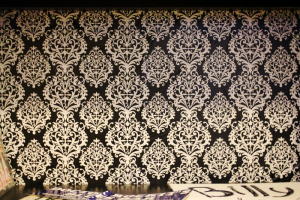 We decided on black and he chose the backing which is wrapping paper from Michael’s that cost $1.50. 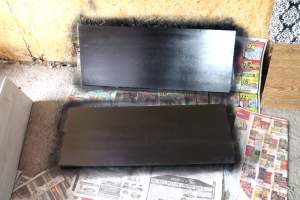 I used Krylon spray paint and it took just over 2 cans. To adhere the paper to the back I used a spray adhesive. To easily attach the paper to the back I removed the back panel and afterwards reattached it with small nails. By the way, that spray adhesive is really good! It’s super sticky so if you use it try not to get any on your hands. 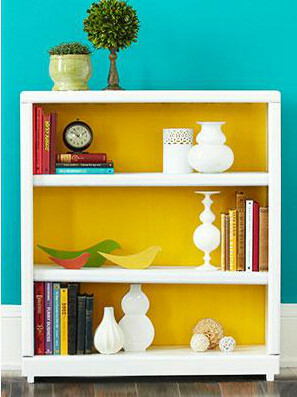 I had a lot of fun doing this and now want to do another bookcase makeover�for myself. I’m thinking lighter and brighter colors for me though. 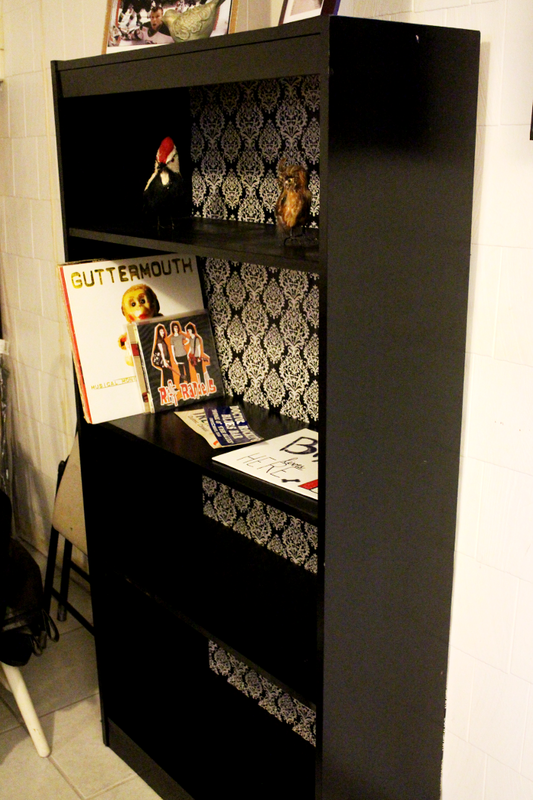 I’m still working away at my home office nook. A little update: I had a major fail. I’m hopeful to have everything all put together nicely by the end of the week…yay! I can’t wait. I just hope it turns out as nice for real as I imagine it in my noggin’.